Since one week I have been knitting a lot. I am going to visit my parents in Romania at the end of March. 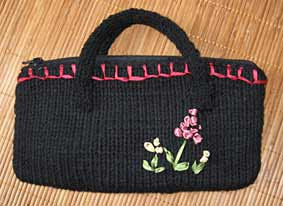 I want to give to my mom and my sister a knitted bag each as a present. I am working (knitting) hard. But I don’t complain. I recently discovered a “magic cabinet” in my LYS. “The magic cabinet” is packed with discontinued yarns, and of course the price is so low. The yarns are beautiful. 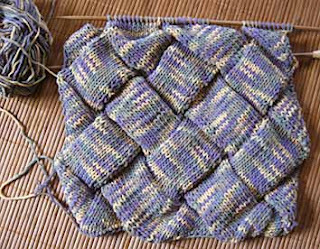 It takes time and a certain amount of luck to find 2 or 3 skeins of same yarn but it is worth it. 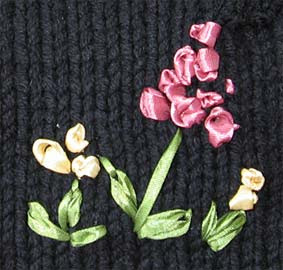 It is a real pleasure and joy to knit with high quality yarns. I don’t like anymore 100% acrylic yarns. It is like: "after fresh Danish pastries, dry bread tastes horrible". My favorite LYS owner knows I am knitting to relax so she recommended me good knitting needles too. Knitting with cheap, low quality needles and yarns is so frustrating. You wish every single second to finish the project asap. Grrrrrrrr! So, here are my projects (finished and unfinished). And ENTRELAC bag for my mother. I can’t wait to see her face.